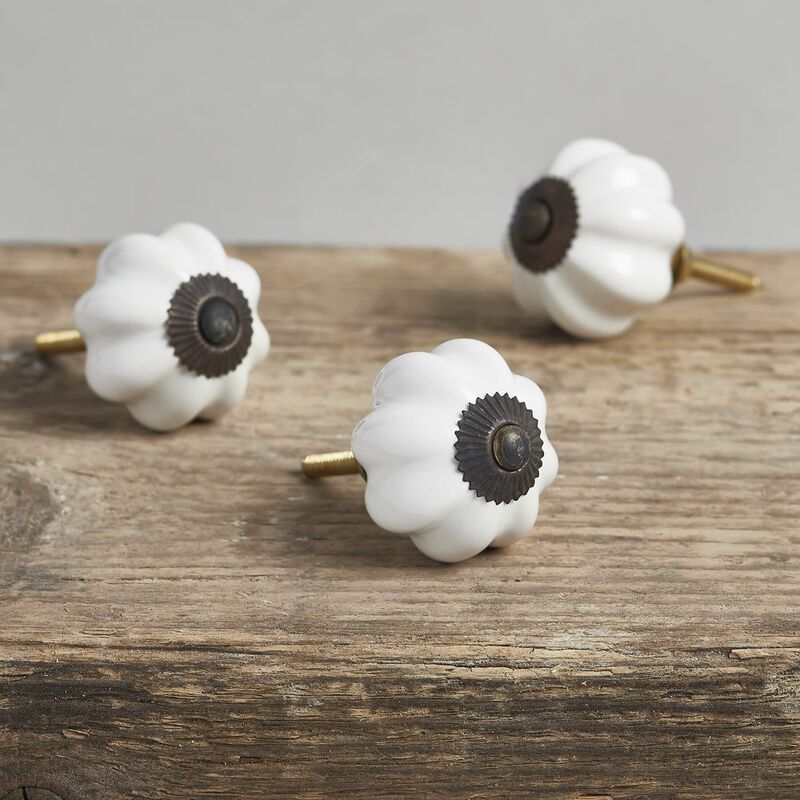 These classically designed ceramic door knobs will brighten up any cupboard or piece of furniture in an instant. Their symmetrical ceramic form is finished off with an iron crown. Perfect for kitchen cupboards, drawers and most other bits of furniture, they have 3.5cm screw and are 4cm in diameter. Approx: 4cm dia x 7cm in length (with a 3.5cm screw).